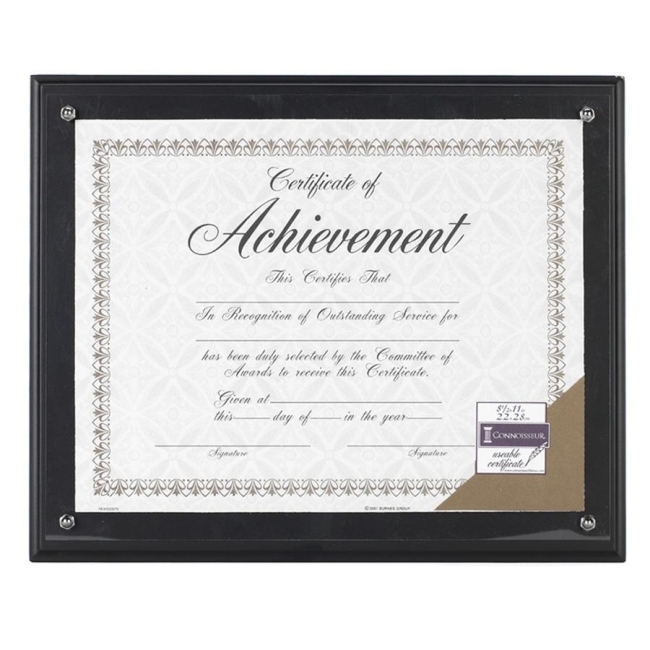 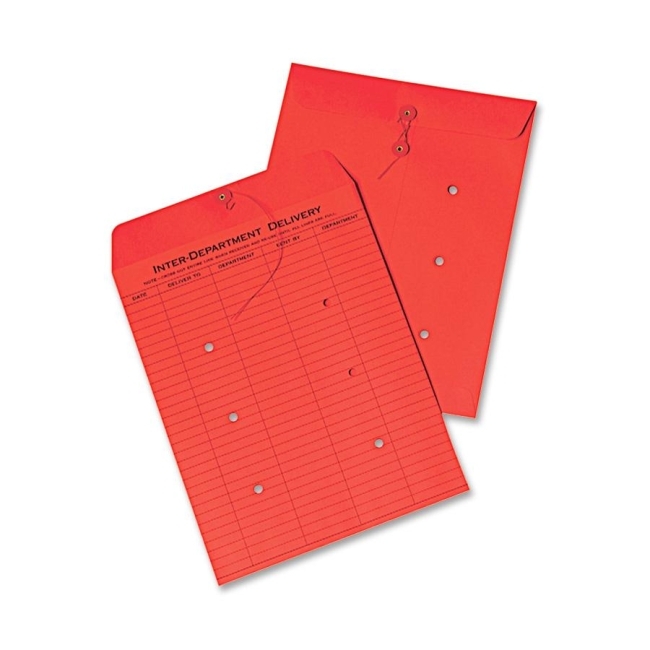 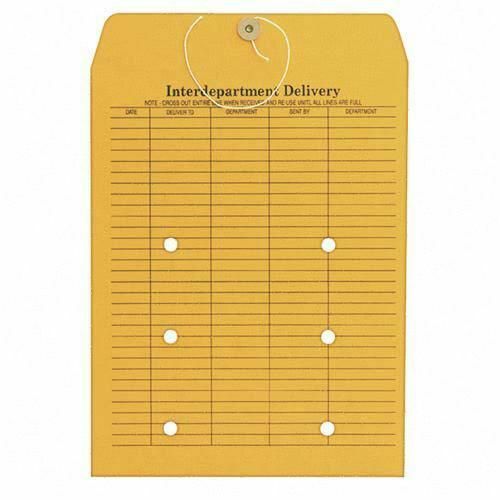 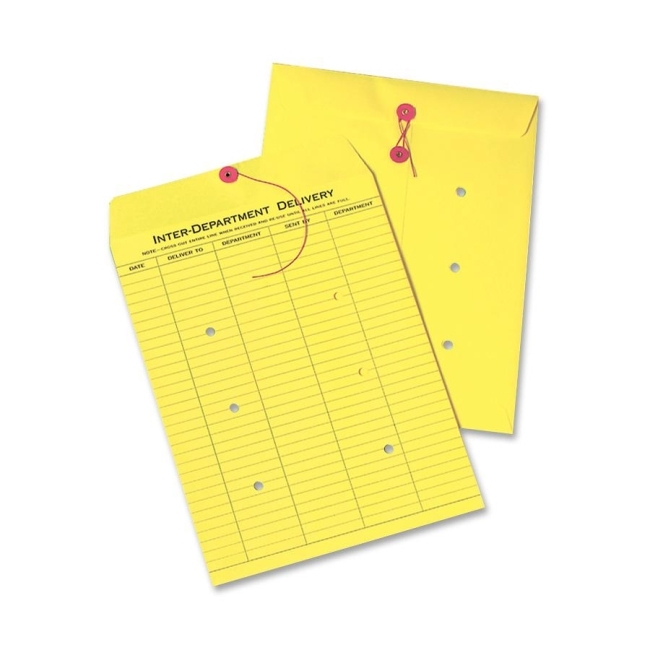 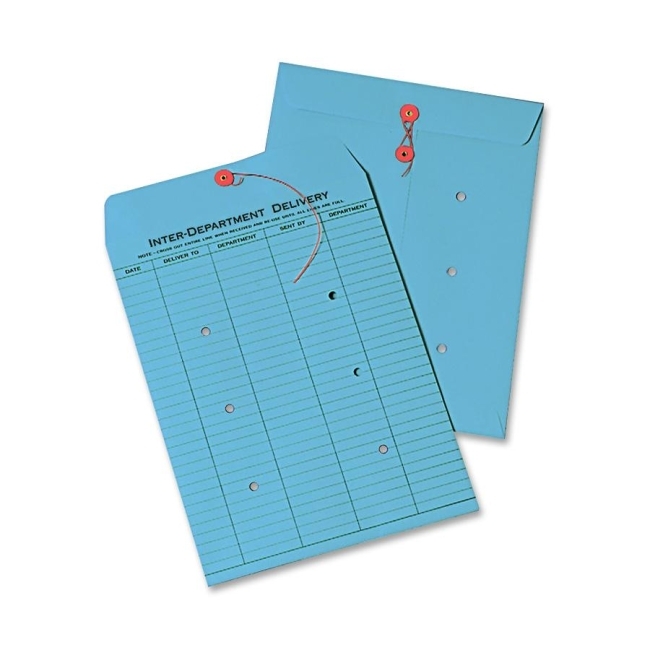 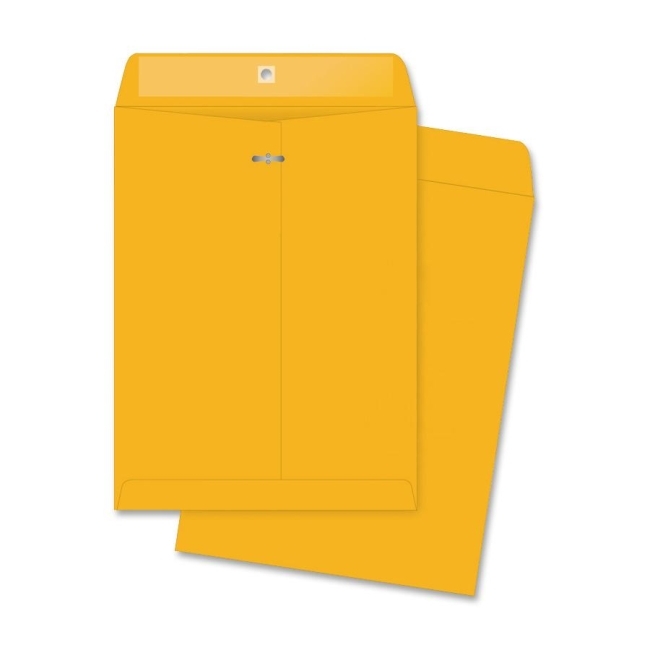 Interdepartmental envelopes feature standard interdepartmental print format for efficient internal correspondence. 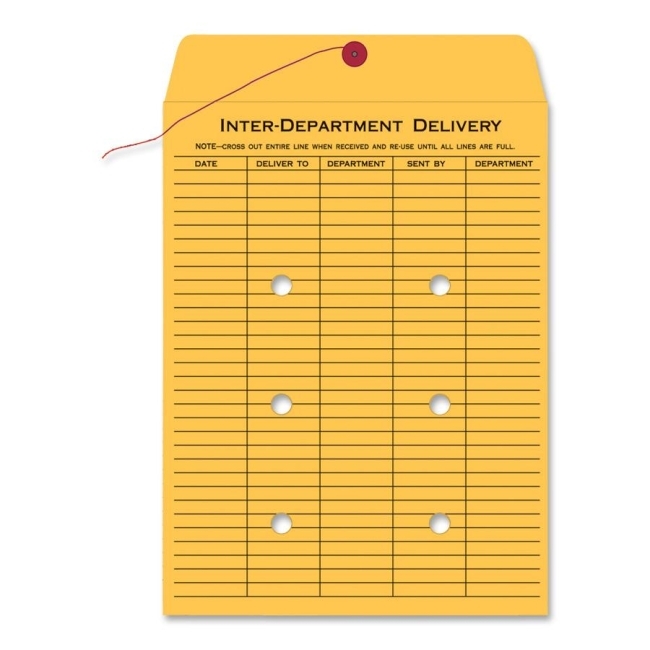 Made of sturdy brown kraft stock. 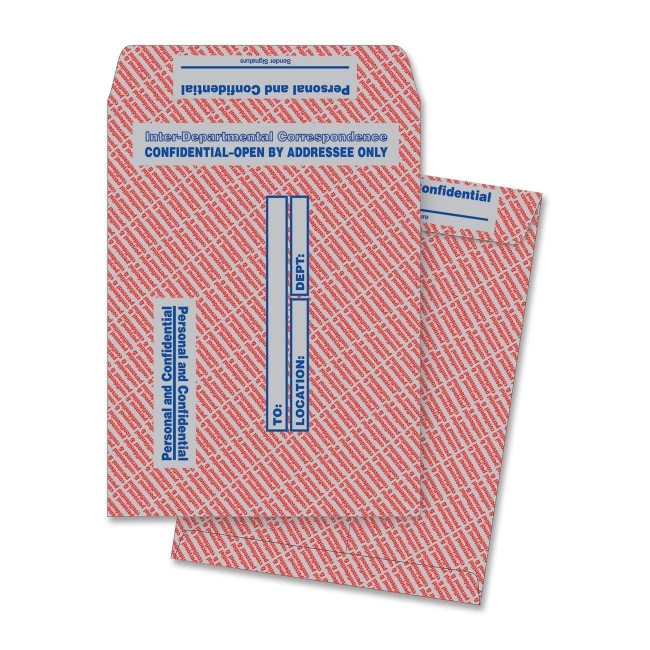 Use string-and-button closure to secure contents. 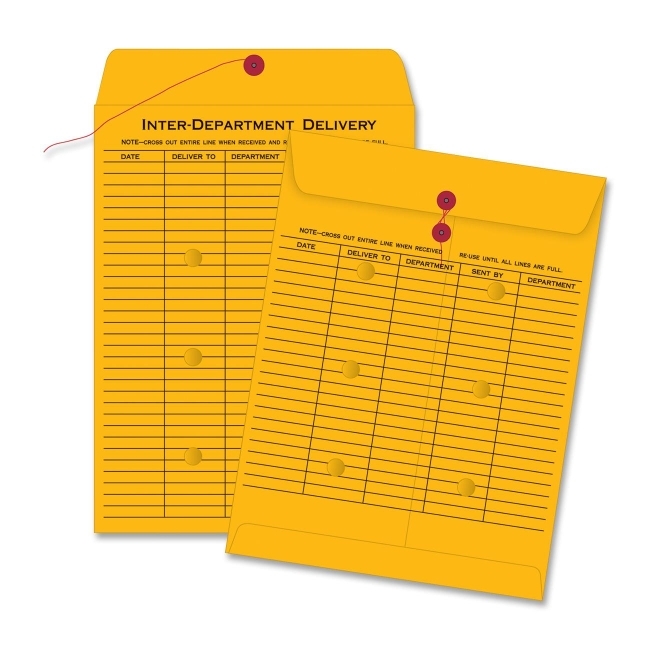 Envelopes offer a standard style with five columns.